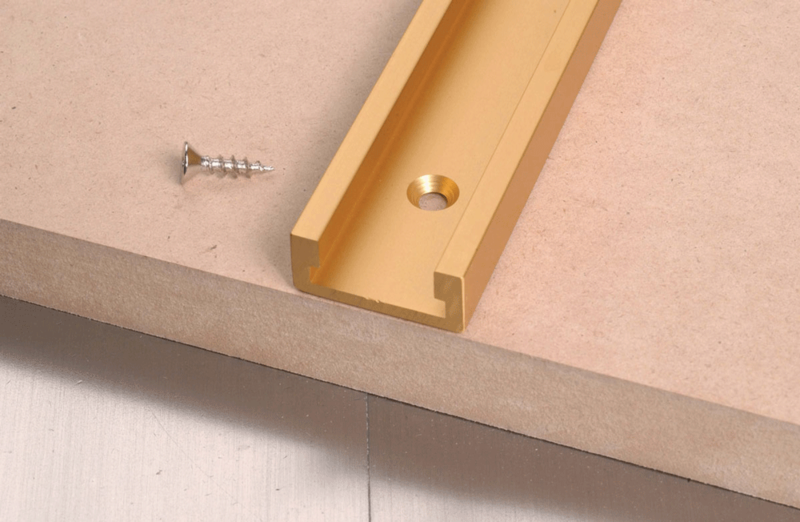 Available in two lengths: 32 ” & 48 ”. 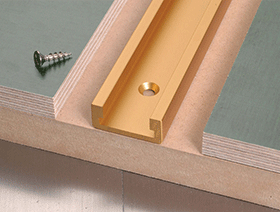 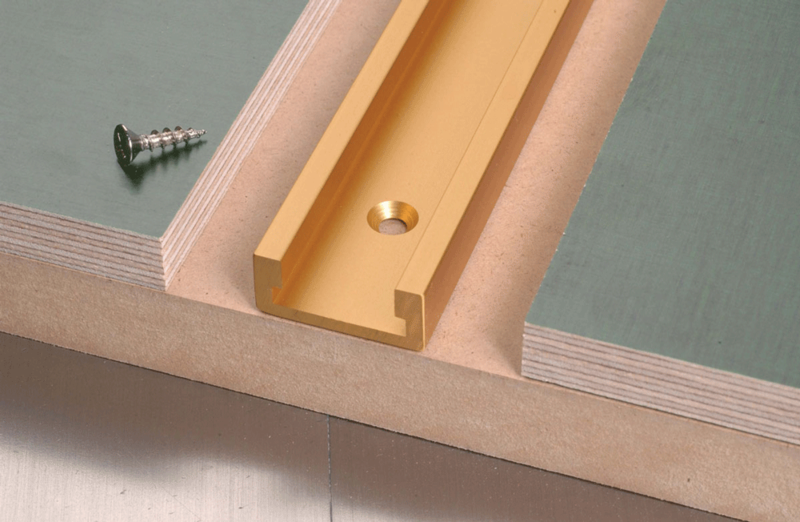 Works with INCRA Miter Sliders and INCRA Miter Gauges or any standard 3/8" by 3/4" miter bar. 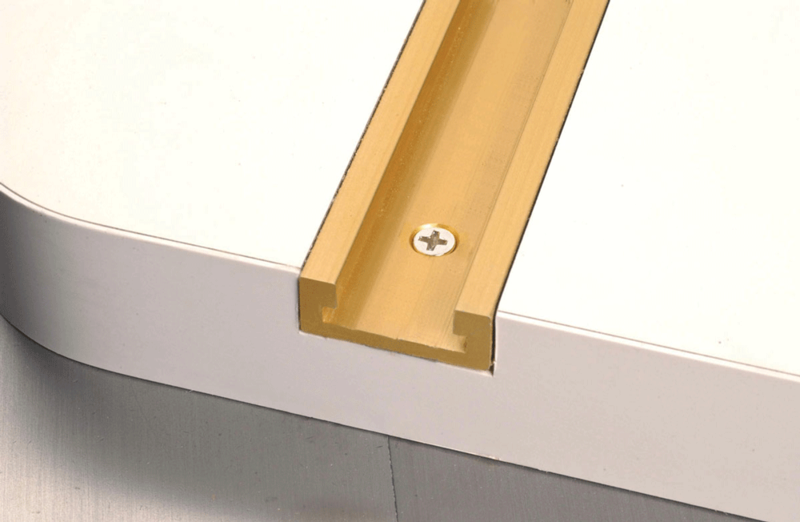 T-Slot design for hold down capability. 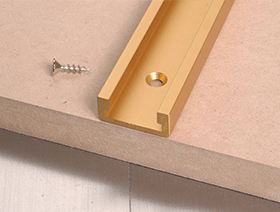 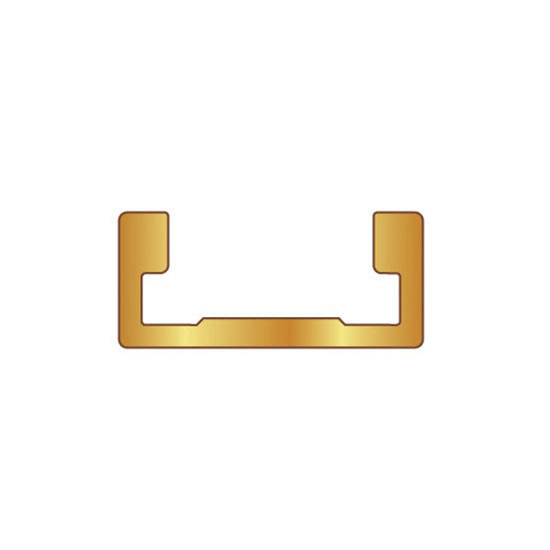 Mounts easily with pre-drilled holes and included fasteners. 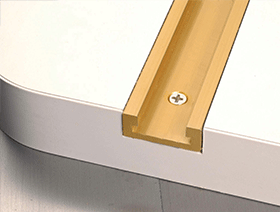 Hard anodized aluminum for durability. 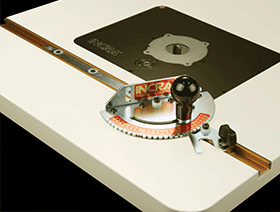 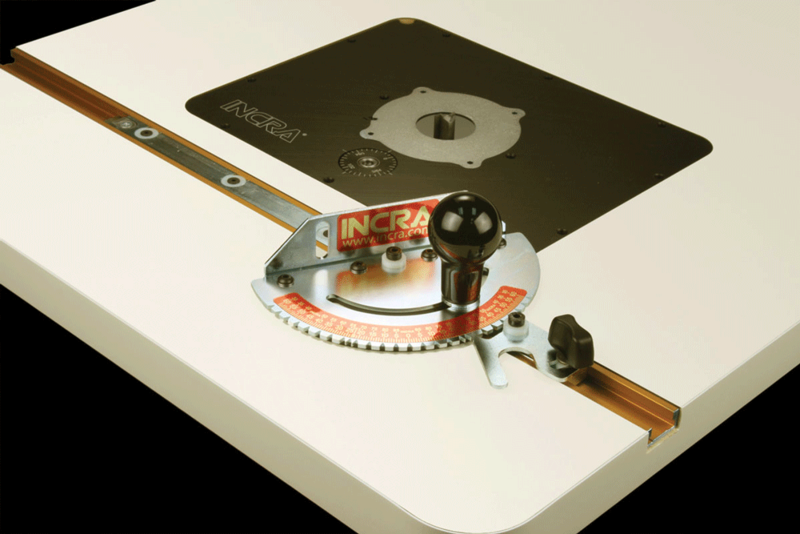 INCRA T-Slot Miter Channel directly to your application. 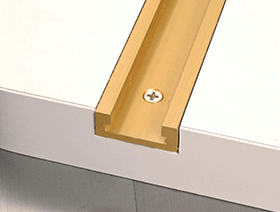 INCRA Miter Channel End Profile.